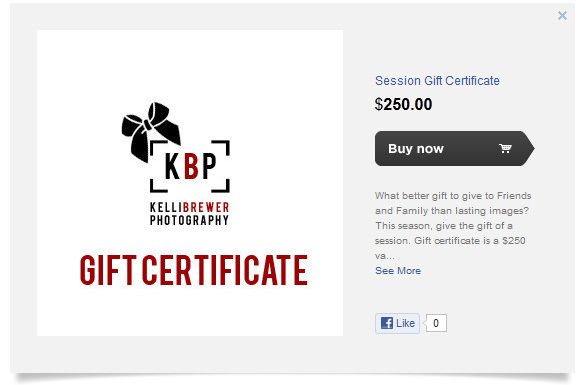 Give the gift of lasting memories this season or add a Kelli Brewer Photography gift certificate to your own wishlist! Gift certificates will be available from now through the month of December, so don't miss out! You may access the store via my Facebook page, or by clicking this link. Happy Holidays! !